Berkeley hackers liked to see themselves as rebels against soulless corporate empires. For the first time, individual hackers could afford to have home machines comparable in power and storage capacity to the minicomputers of ten years earlier – Unix engines capable of supporting a full development environment and talking to the Internet. A critical factor in its success was that the X developers were willing to give the sources away for free in accordance with the hacker ethic, and able to distribute them over the Internet. In early 1993, a hostile observer might have had grounds for thinking that the Unix story was almost played out, and with it the fortunes of the hacker tribe. The ARPAnet was the first transcontinental, high-speed computer network. The beginnings of the hacker culture as we know it today can be conveniently dated to 1961, the year MIT acquired the first PDP-1. The workstation-class machines built by Sun and others opened up new worlds for hackers. Thompson and Ritchie were among the first to realize that hardware and compiler technology had become good enough that an entire operating system could be written in C, and by 1978 the whole environment had been successfully ported to several machines of different types. Eric Steven Raymond was born in Boston, Massachusetts, USA. 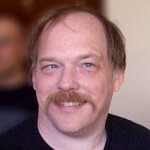 He is an American computer programmer and author of the 1999 book The Cathedral and the Bazaar. He wrote a guidebook for the Roguelike game NetHack. In the 1990s, he edited and updated the Jargon File, currently in print as the The New Hacker's Dictionary. His 2003 book The Art of Unix Programming discusses user tools for programming and other tasks. He has also contributed code and content to the free software video game The Battle for Wesnoth.